At last we’ve uprooted ourselves from the Marais Poitevin, bade farewell to Mike and thanked him for his excellent hospitality and Thai food, and hit the road again. Thirteen nights at one place is a long time for us but then, it is a great area for cycling nature fans. 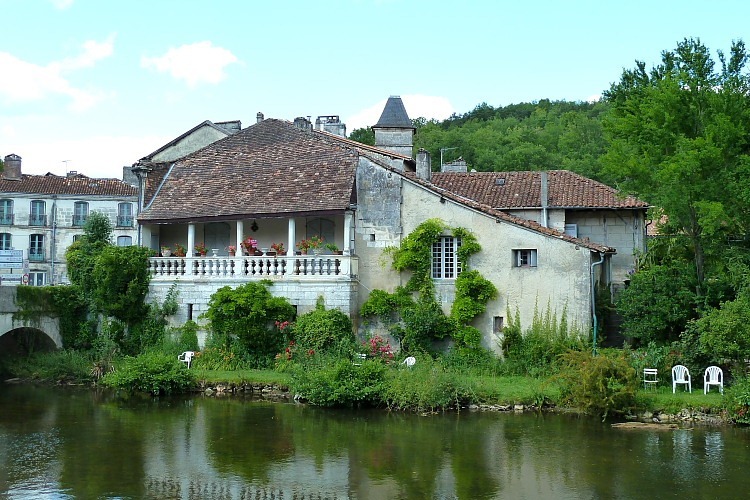 We have decided to make for the upper Dordogne valley and Brantôme, on the river Dronne, seemed like a useful overnight stopping off point en route. 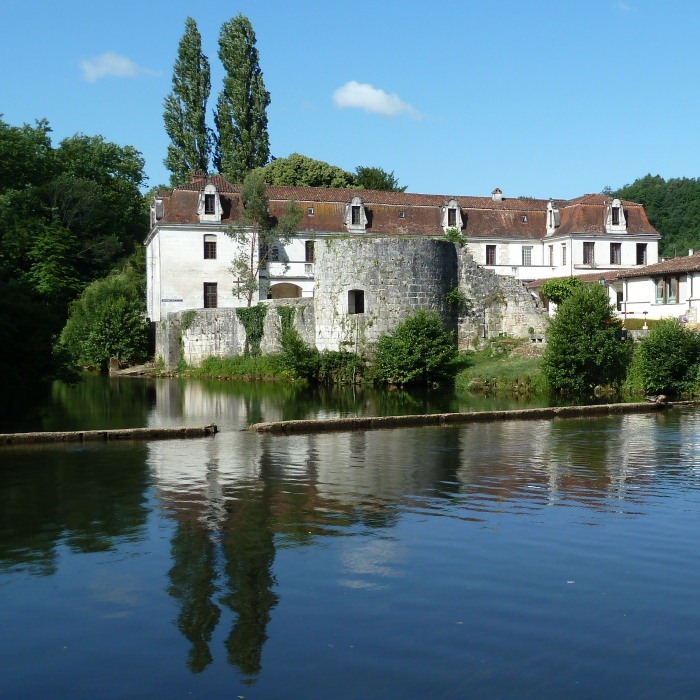 We dropped in to Brantôme once about ten years ago so we knew roughly where we were heading and what to expect. The campsite is an adequate, if unscintillating, camping municipale on the edge of town. There is a house beside the entrance and both Francine and I remembered five intensely irritating poodles that yapped frantically, seemingly in competition with each other, whenever anyone passed by. What a lasting impression such things make. “At least they should be dead by now”, we mused to ourselves on the journey. We pulled in to the campsite close to opening time (2:00 PM) to check in. Four intensely irritating poodles were yapping frantically at their garden fence. A fifth, very small poodle joined in. The owner looked on adoringly from a balcony. Maybe he’s deaf? He certainly must be very keen on yapping poodles. 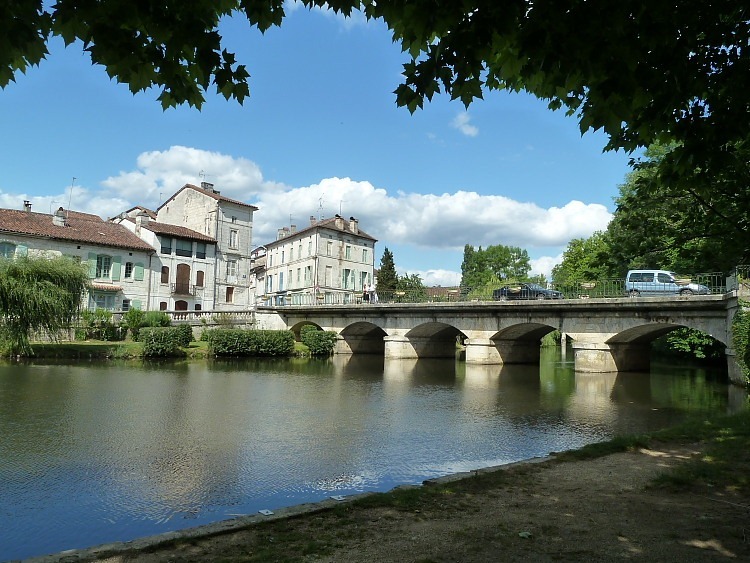 Purely by chance, we have travelled from the so-called Venise Verte to the so-called Venise du Perigord. 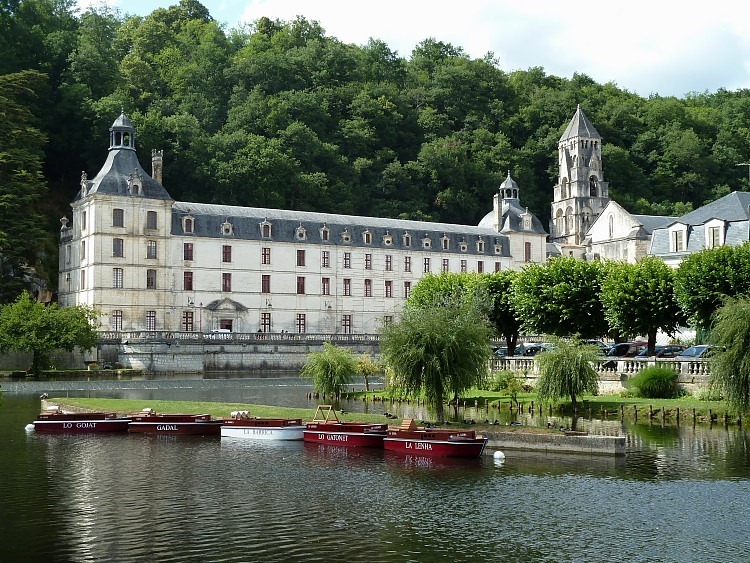 On our first visit, Brantôme struck me as being vaguely cartoon-like in a Disney kind of way. Were one to ask a drug-intoxicated Walt to design a cartoon French town, this is what I imagine he’d come up with. There are some impressive towers on a particularly impressive building, actually the hôtel de ville, where the wicked witch of the north is probably force-feeding a ravishing blonde princess to make foie gras de princesse. (Well, we are in the Perigord.) In a boat, up paddles a gallant and handsome prince intent on rescuing his damsel in distress but, alas, the wicked witch turns him into a clutz whereupon he falls into the river, is knocked unconscious on one of the many bridge piers and drowns. Unlucky princess!